File recovery for Windows 10 is more and more frequently asked since this operation system has finally beaten Windows 7 in market share. Many Windows 10 users find their files permanently deleted after emptying Recycle bin, freeing up space with clean-up tool or shift-delete without confirmation. 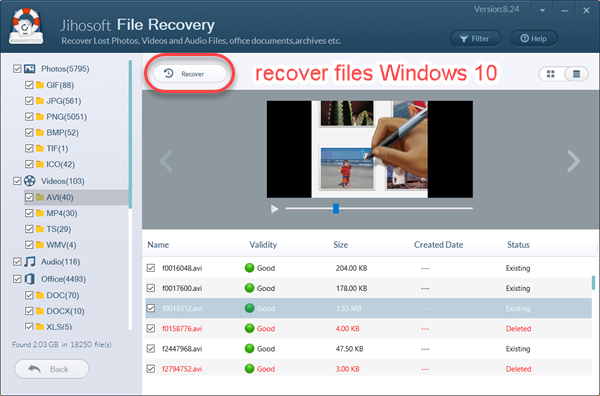 Actually, it is possible to recover deleted files on Windows 10. Where Does Delete File Go on Windows 10? The first station is Recycle Bin where the file still occupies disk space and allows you to recover it. After you delete the file from Recycle Bin, or use shift-delete directly and cleaner utility, or delete files from removable flash drive, Windows 10 removes the reference and header to it and can no longer to read it. That’s why people think the files are permanently deleted. However, the file is still on the hard drive until another file or part of another file is saved to the same location. Before that happens, professional data recovery software can rebuild the file header and allow the computer to see the file again. Can I Recover Files Deleted Long Time Ago from Windows 10? As mentioned above, deleted files can only be recovered before being overwritten by new files, which can be created by downloading and importing files or playing media and games. However, the order of overwriting is not always chronologically. This also applies for external hard drive and removable disks connected to Windows 10. Simply speaking, a Windows 10 file recovery software may be able to recover files that were deleted from your laptop both years ago and yesterday, but it is highly suggested stop using your computer once you find that you need to restore deleted files, and then seek help from professional data recovery software. iReparo Windows 10 Recovery Software is the best data recovery software for Windows 10. It meets all the requirements that people would need in order to get back files permanently deleted from Windows 10. This software also offers an Mac version for users to download and recover the deleted files on Mac computer. Recover Word, PowerPoint, Excel, pdf, photo, video, audio, archive (zip, rar, 7z, etc. ), and more files. Recover files from internal hard disk, external hard drive, removable USB and memory card in Windows 10. Recover files from Windows 10 after deletion, formatting, system reinstalling. Freely preview files before recovery so that you know you really need them. Note: If you want to recover NEF, CR2, ARW or more RAW image files from digital camera, please refer to camera photo recovery. Make sure you know the drive from which you deleted the files. If it is an external drive or removeable drive, like SD card, please connect it to your Windows 10. Then, follow steps below. Step 1. 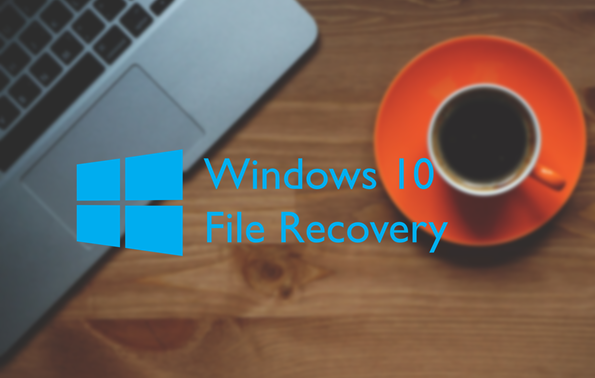 Launch the Windows 10 file recovery software, then choose Recover File. Step 2. Select a drive from the list and click Scan Now. You can click Advance Scan to filter file types. Step 3. 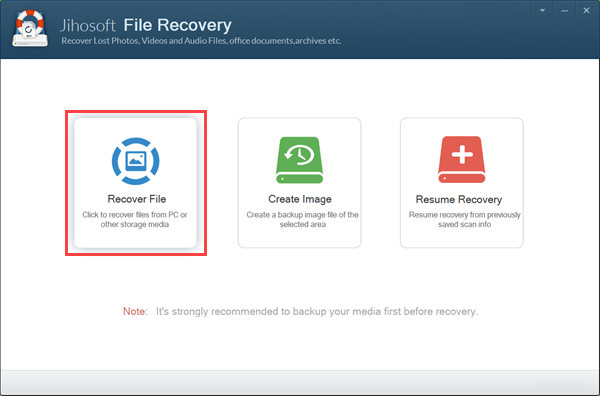 Preview all files to find out those you need, and then click Recover. You’ll be prompted with a window asking you to set a location for the files to be restored. 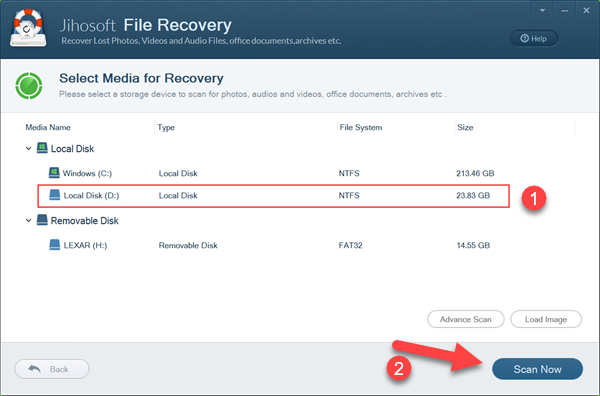 Once the recovery is finished, you will be able to check the files by clicking Open Folder button. All the recovered files are properly organized in sub-folders.